Celebrate the season and be festive in a dignified and fashionable way: secure your tie uniquely using this silver snowflake tie tack. 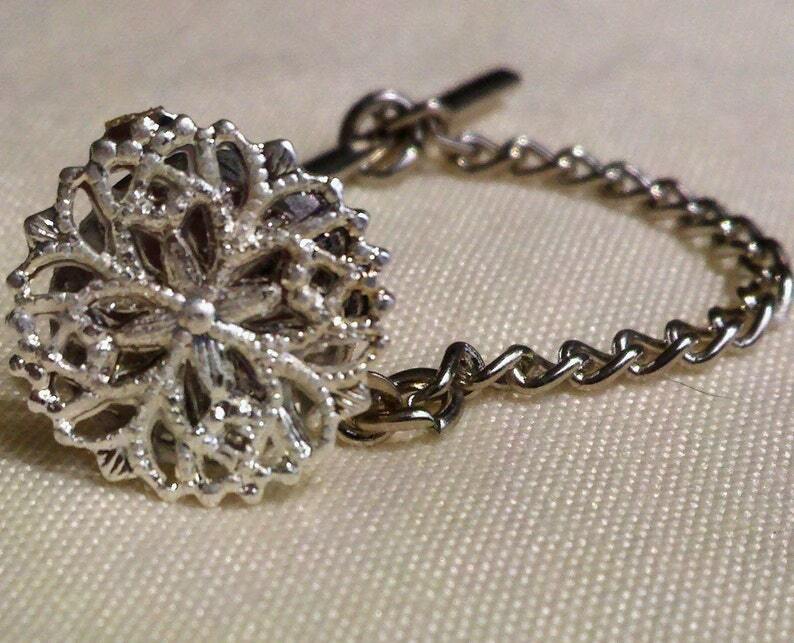 The diameter of the charm is 3/8" (1.2 cm) with a 1-3/4" (4.4 cm) chain to secure it to your buttonhole. This item ships free with any other accessory in my shop. Also see coordinating items in my shop.